Home > Seminars > Managing common gastrointestinal problems in practice today. UpcomingManaging common gastrointestinal problems in practice today. Dr. Stanley Marks & Dr. Michael Lappin are two of the worlds leading authorities on gastrointestinal diseases. 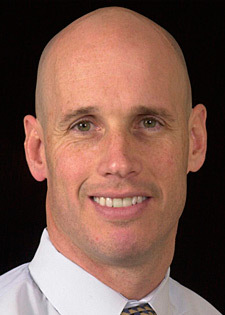 Dr. Marks expertise also involves esophageal disorders, small intestinal diseases, endoscopic diagnostic techniques and nutritional therapy for the GI patient. 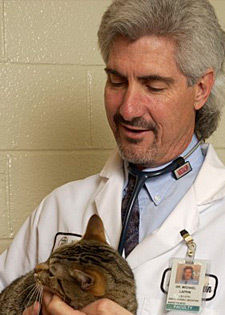 Dr. Lappin is the world’s leading aurthority on feline GI diseases and disorders. Both speakers have published extensively in all the major journals & texts including JAVMA, Compendium on Continuing Education & Textbook of Internal Medicine. Stan & Mike have lectured at the regional and national meetings and have promised me that the seminars have been structured to maximize the material that you will take with you to your practice. The lectures will detail how to manage the majority of the problems when you don’t have access to an endoscope! For this all new seminar, I have asked two of the worlds preeminent GI specialists to present a practical seminar on what’s new in the management of canine & feline GI problems. Management of feline caudal mucositis. Infectious disease diagnostic tests; facts and fallacies. Giardia infections in dogs and cats; fact or fiction? Cryptosporidium spp. infections of 2 and 4 legged animals. Logical management of GI parasitism in dogs and cats; a case based approach. Update on the management of canine distemper virus, canine parvovirus, and feline panleukopenia virus infections. Use of probiotics in the management of diarrhea in dogs and cats. 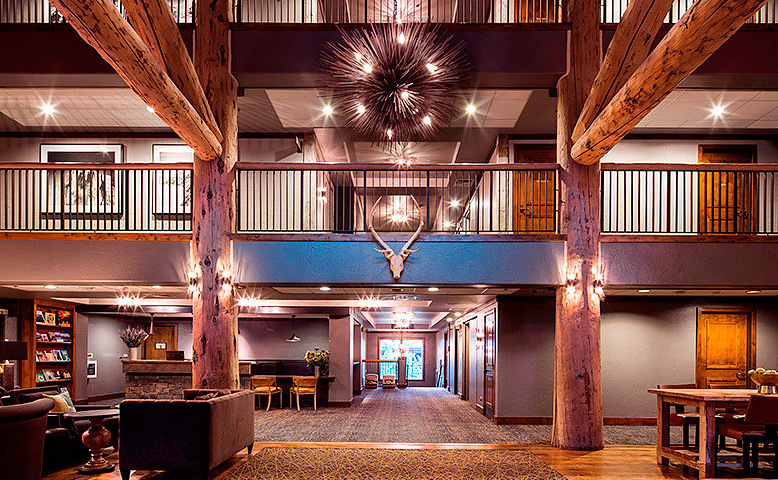 A welcome retreat from the day’s adventures, skiing at the Jackson Hole Mountain Resort or exploring the majestic Grand Teton and Yellowstone wilderness, Teton Mountain Lodge & Spa is the ideal choice in luxurious mountain lodging. Every detail of our lodge offers a luxurious “home-away-from-home” experience, complete with the warmth of a true Wyoming welcome. Emulating the grand scale and rustic elegance of the Yellowstone National Park lodges, the Lodge presents refined furnishings, stone fireplaces, oversized baths, state of the art kitchens, hardwood floors, tasteful lighting and classic millwork. Teton Mountain Lodge & Spa offers an elevated ski lodging experience in Jackson Hole, Wyoming. Alpine Studios: These luxury hotel studios are furnished with a Queen-sized Murphy bed, stone-face gas fireplace, fully-equipped state-of-the-art kitchen, dining area, large-format flat-screen TV with in-room movies, high speed internet access, hairdryer, boot dryer, coffee maker, steam iron and board. Some Alpine Studios include a sofa sleeper. Sleeps 2 – ideal for a romantic getaway at our Jackson Hole hotel. Lodge Rooms: Lodge rooms at our luxury Jackson Hole hotel come furnished with a King or Queen bed, or two extra-long double beds, large format flat-screen TV with in-room movies, high speed internet access, hairdryer, boot dryer, coffee maker, mini refrigerator, steam iron and board. Sleeps 2-4 people. One Bedroom Suites: These expansive and fully-furnished Jackson Hole luxury hotel suites include a Murphy bed or sofa sleeper in the living room, King bed, or Queen bed in the master bedroom, one to two full baths and a fully-equipped, modern kitchen. Other amenities include: large format flat-screen TV in both rooms with in-room movies, high speed internet access, hairdryer, boot dryer, coffee maker, steam iron and board. Some rooms have a furnished terrace. These luxury hotel suites sleep 2-6 people. Group Lodge Room with one king bed: $407.00 per room, per night, plus taxes & fees. *The above rate is based on single or double occupancy, for a max occupancy of to 2 adults and 2 children. There is an extra charge, per adult over 2, staying in the room. A 7% Lodge Services fee + 10% tax will be charged per room, per night. Lodge Services fee includes: priority access to the Solitude Spa and all of its amenities, including access to the roof top hot tub, steam room, both indoor & outdoor pools, and access to the fitness facility. You will also receive standard wireless internet access, local calling, in room coffee & local newspaper, bike storage, self-parking, and access to the business center computers for travel assistance as well as boarding pass printing. Valet parking is available at a charge. A deposit equal to two (2) night’s stay including tax and service fees is required at the time of booking with the remaining balance due thirty (30) days prior to your scheduled check-in. Your deposit is fully refundable up to thirty (30) days prior to arrival. At thirty (30) days prior to arrival, any remaining balance, including tax & lodge service fee, will be charged to the credit card on file for the individual reservation. If your reservation is canceled or modified, including room type change to an accommodation type at a lower rate, within thirty (30) days prior to arrival, a cancellation fee will be assessed equal to the room rate, tax & service fee per night that is cancelled. Unannounced extended stays and late check-outs will be charged and additional $100 to the published rate. Anyone wishing special consideration for late check-out should inquire at the front desk on your day of departure. Should the hotel allow for late check-out, it may charge half the rate published for your room type. We strongly suggest purchasing trip insurance. If you would like us to give you a quote, please give us call. In the warmer months Jackson Hole opens up even more recreational opportunities by providing the ultimate outdoor playground. The Snake River flows through the valley providing world class fly fishing, whitewater and scenic river rafting, kayaking, and canoeing with spectacular Teton views. Winding trails run throughout Jackson Hole’s mountains and valleys providing plenty of opportunities for hiking, mountain biking, and trail running. Guests can view Jackson Hole from the big skies in a hot air balloon, paraglider, or glider plane. The winding country roads and paved pathways are perfect for exploring by bike or car, with breathtaking scenery and stunning views around every turn. Jackson Hole is home to Grand Teton National Park and Yellowstone National Park an hour to the north. The parks can be explored year round, with rare wildlife spotted roaming through the deep snow in Grand Teton and Yellowstone National Park in the winter months, migrating and mating through the spring and fall, and roaming throughout the mountains and streams in the summer. You can explore these national treasures on your own or hire tour guide to lead you to some of the best views and wildlife spotting areas. Trails begin outside our door continue into some of the world’s most spectacular outdoor lands. At the Jackson Hole Mountain Resort, there is a seven mile network of mountain bike trails to explore. The Teewinot chairlift enables you to hitch a ride with your mountain bike half way up the mountain. You may also explore trails in the backcountry around Jackson Hole. Paved and dirt roads and trails throughout Jackson Hole offer another excellent way to see Jackson Hole. The National Elk Refuge Road or the extensive paved Pathways that run throughout the Jackson Hole valley offer ideal options. Whether you choose to fly in a hot air balloon, float in a paraglider or a glider plane, delving into the big skies of Jackson Hole by air is an unforgettable experience. There’s no better way to experience the romance of the Old West and get deep in to the backcountry and high in the mountains than on horseback. There are many outfitters, most offering full or half day rides. Teton Pines is a full-service, semi-private championship golf course offering tee boxes of varying levels, many water features and large greens. This 18-hole course, opened in 1987, was designed by Arnold Palmer. Located just 5 miles from the Inn, the course offers a pro shop, golf instruction, club rentals, driving range and putting green. Jackson Hole Golf & Tennis is the valley’s first full-service championship 18-hole golf course. Opened in 1963 and redesigned in 1973 by Robert Trent Jones II, it showcases some of Jackson Hole’s most breathtaking Teton views. This semi-private club is consistently ranked number one in the state of Wyoming by Golf Digest magazine. Located just 20 miles from the Resort, the club offers a pro shop, golf instruction, club rentals, driving range and putting green. The Snake River offers both calm waters for scenic floating and a dramatic canyon for whitewater excitement. High alpine lakes and ponds found among the mountain peaks and have their own opportunities for water fun. The Snake River and other area waterways offer ample opportunities to fish native cutthroat trout. Experienced guides to help you find the most awe inspiring fly fishing experience for you. Whether you rent equipment and head out on your own or enlist a guide or instructor, you can choose between the athletic descent of the Snake River or the gliding serenity of the alpine lakes in Grand Teton National Park. *As a special concession of our group there is a 10% discount on Spa services. Executive Chef Kevin Humphreys elevates traditional “mountain cuisine” by transforming simple, home-style favorites into flavorful, seasonally-infused dishes. Guests will discover a delectable assortment of appetizers and shared plates. Call Spur for reservations at 307.732.6932 or online at Open Table. Looking for something offsite? Learn more here. Jackson Hole Airport – JAC is serviced by: United, American, and Delta. Non-stop flights to Jackson Hole originate from Atlanta, Chicago, Dallas, Salt Lake City, Denver, Boise, Cincinnati and Los Angeles. Frequency and availability varies seasonally. Then rent a car from one of the major companies and enjoy the scenic drive to the Teton Mountain Lodge which is located at the base of the Jackson Hole Ski area. Please note that we are at the Jackson Hole Ski area and not in the town of Jackson. Learn more. Other ways to access Jackson Hole include air service to Idaho Falls Airport – IDA, just 90 miles away (Skywest and Horizon airlines). From there, you may choose to rent a car or take the daily shuttle, Alltrans, Inc. (800-443-6133). Service is available from Idaho Falls to Jackson Hole. If you choose to fly into Salt Lake City on larger airlines, you may take the daily shuttle, Alltrans, Inc., or drive five hours directly (depending on weather conditions) to Jackson Hole.